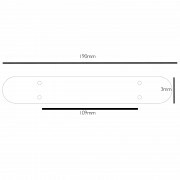 In place of your MG radio blanking plate (or radio) fit this neat 2mm steel gauge holder. 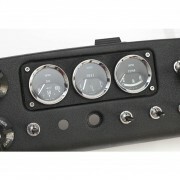 Accepts 3 standard 52mm gauges for monitoring vital functions. 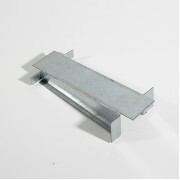 Easily fit yourself using the included Stainless Steel socket headed bolts and looks the business! 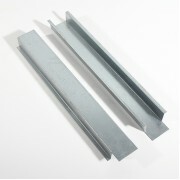 Easily adapted for other vehic..
Our MGB Chassis Strengthening modification is a must have for all uprated MGB's. This panel addresses one of the MGB's structural weaknesses. The MGB's rear leaf spring front mounting point was adequate for the original car, but when more power is put to the rear axle, it is..
MGB Chassis To Sill Strengthening Modification This panel is welded in between the chassis rail and the sill just under the driver footwell. This adds to body stiffness, taking some of the bodies 'twist' action and linking it with chassis rail. 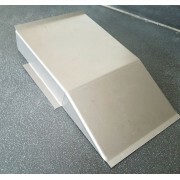 It also improves the side impact streng..
SU Fuel Pump Blanking Plate MGB etcetera. 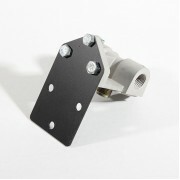 Specifically designed for MGB's utilising a different fuel pump to the standard SU. The latter fits through the bodywork via a large hole. This plate is designed to blank that aperture but can be adapted for any vehilce using the same pump. Just coat edge with sealant, drill pilot holes in ..
Our remote oil filter bracket is designed to allow you to easily mount mocal remote oil filter heads in your engine bay. The benefit of our bracket means it not only reduces vibration and therefore reduces aeration of oil, it allows you to mount the oil filter low on the chassis rail and increase ai..
MGB Transmission Tunnel Clearance Modification. If you are fitting a 5 speed gearbox (LT77/R380 for instance) into your MGB then you'll probably come across the issue of lack of clearance on the transmission tunnel. This problem is overcome by the well documented raising the 'roof.. 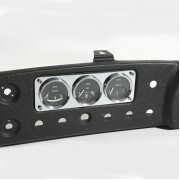 This 'Rally Style Switch Mounting Plate' is an easy way to mount switches to your cars interior, dash or engine bay. 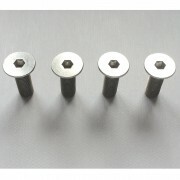 It comes predrilled with four mounting holes for easy instalation. All you have to do is drill the plate for your switches in whatever configuration you wish! ..